INOVOTION will be present at the 4th Antibody Industrial Symposium 2016, next week, 4th-5th July in Montpellier. This congress is jointly organized by the MabDesign and LabEx MAbImprove. 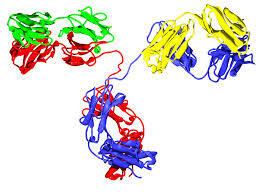 The program is focus on current and next generation antibody formats. It will be the perfect place to discuss with antibodies development experts. Thanks to INOVOTION’s technology, scientists from Universities, Biotech and Pharma can screen easier antibody treatments against cancer. With our three main offers: Efficacy & Toxicity, Target Validation and Muti-Cancer Screening, our partners, whose develop antibodies, are focusing their efforts on the best compounds. If you want more details join us in Montpellier!